Immigrant Defense Project was deeply disappointed by the Supreme Court’s deadlock in the case of U.S. v. Texas. The June 23 ruling left standing an injunction on President Obama’s executive actions on immigration. Those actions would have allowed millions of eligible undocumented immigrants who are parents of U.S. citizens or lawful permanent residents, or who were brought to the United States as children, to apply for work permits and relief from deportation for three years, under two federal programs, the Deferred Action for Parental Accountability (DAPA) and an expanded Deferred Action for Childhood Arrivals (DACA). Despite the ruling, there is nothing preventing the Obama administration from changing course on its deportation policies that continue to instill fear in immigrant communities every day. IDP has joined with allies across the country in calling upon President Obama to declare a moratorium on deportations; and upon Congress and the presidential candidates to put forward serious proposals for just immigration reform. 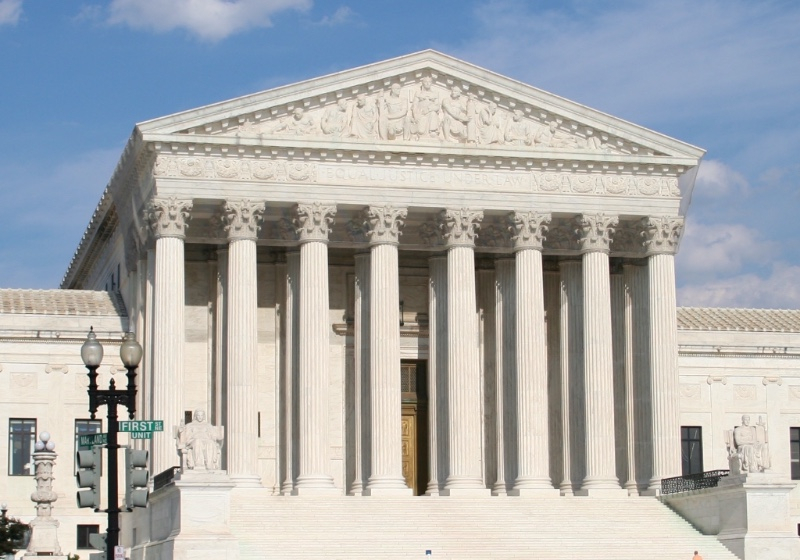 On June 23, the Supreme Court issued a terrific decision in Mathis v. United States, a federal sentencing case in which the Court affirmed a strict, elements-based categorical approach for determining when a prior conviction will trigger adverse sentencing or immigration consequences. IDP and the National Immigration Project of the National Lawyers Guild (“NIP-NLG”) have issued a Practice Alert (available here) on the Mathis decision for immigration lawyers, criminal defense lawyers, and immigrants themselves contending with the possible immigration consequences of criminal convictions. In Mathis, IDP and NIP-NLG appeared with allies as amici curiae before the Court to present the robust history of the categorical approach in immigration proceedings, the need for a strict categorical approach to protect constitutional rights in immigration proceedings, and the unique challenges that immigrants who are often detained and unrepresented in deportation proceedings will face if adjudicators are permitted to expand their review of unreliable conviction documents in deciding deportability and eligibility for immigration benefits. The Court’s decision makes clear that constitutional and fairness concerns require a strict categorical approach to ensure that immigration consequences and sentencing enhancements are not imposed based on facts that were never necessarily found in an underlying criminal prosecution. IDP, along with 169 other national and state organizations, voiced our strong opposition to two anti-immigrant, enforcement-only bills in a July 6 letter to the U.S. Senate. The Stop Dangerous Sanctuary Cities Act (S.3100) and the Stop Illegal Reentry Act (S.2193) would have jeopardized public safety, further damaged community trust between police and local residents, and wracked up billions in costs to taxpayers by expanding mandatory minimum sentences. In a victory for immigrant advocates, both bills failed to advance. On June 24, our friends at the Southeast Asia Resource Action center hosted a congressional briefing, co-sponsored by IDP and other allies, on the legacy of the 1996 immigration laws. The panel, moderated by SEARAC Executive Director Quyen Dinh, included Join Congresswoman Judy Chu (D-CA-27), Congresswoman Zoe Lofgren (D-CA-19), Congressman Raul Grijalva (D-AZ-3) and four impacted advocates who are fighting deportation because of unjust 20-year-old immigration laws. Audio of the event is available here. Together with our allies in the Immigrant Justice Network, IDP launched a weekly blog series in June. Each week, a partner organization details the impact of the 1996 immigration laws on their memberships and constituencies, and describe what needs to change. Click below to read the entries so far, and check back here for future updates. On June 2, Benita Jain and Marie Mark conducted a Padilla Advisors 101 CLE at the Office of Indigent Legal Services in Albany, NY. Staff from every Regional Immigration Assistance Center (RIAC) across the state attended the training. IDP’S Padilla Support Center is one of six RIACs tasked with ensuring every court-appointed defense attorney in New York State has access to the training, advice, and support necessary to better represent their immigrant clients, as required by the Supreme Court’s 2010 ruling in Padilla v. Kentucky. The training included information on the scope of the duty to advise clients about immigration consequences, and how to gather the information needed to provide complete, accurate, and individualized advice to a defense attorney. From June 3 to 5, IDP’s Alisa Wellek and Anthony Enriquez were in Chicago to attend Migrahack, a weekend of trainings and hackathons that brought together journalists, nonprofits, and programmers to unravel immigration data and produce visual stories. Along with friends from the Black Alliance for Just Immigration and Drug Policy Alliance, they were part of a team that won the award for Best Data Visualization, for a piece focused on the War on Drugs and War on Immigrants. On July 6, IDP teamed up with the Center for Constitutional Rights for a happy hour discussion of ICE home raid practices in New York City. The event, part of CCR’s “First Wednesdays” series, took place at Von bar on Bleecker Street and featured speakers from IDP and CCR. IDP’s Genia Blaser, who spoke at the event, also contributed a commentary piece, co-authored with Alisa Wellek, to the CCR blog: Mass Deportation Must End.